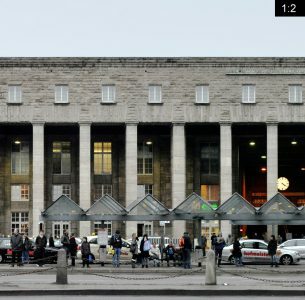 The Main Station (german: Hauptbahnhof) in Stuttgart. 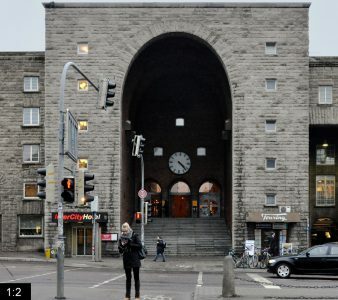 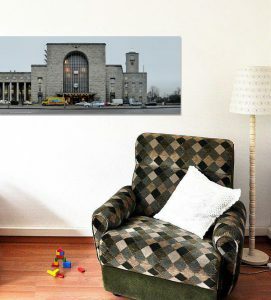 The Stuttgarter Bahnhof is especially well known due to the large infrastructure project “Stuttgart 21” which aims at improving the railway connections with Stuttgart by completely restructuring the station and building new railways in the Stuttgart area. 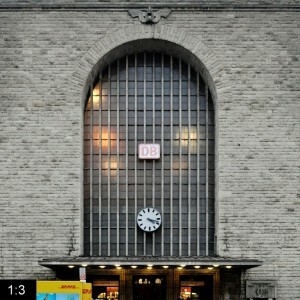 However the large scale of the project S21 and its high costs made it the most discussed development project of germany. This panorama shows the whole front of the main station, which was built between 1914 and 1928 based on plans by the architect Paul Bonatz. It is dominated by the Bahnhofsturm (station tower) on the eastside of the building, since the 1950s bearing a logo of Mercedes Benz. 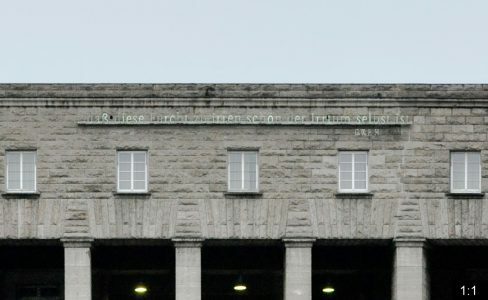 The front of the station also features a quotation by Georg Wilhelm Friedrich Hegel („… daß diese Furcht zu irren schon der Irrtum selbst ist.“) mounted with big letters above the central entrance. As a funny detail you will find four clocks prominent on the front facade (look into the detail images to the right), which all show a different time due to the short periods between taking the single photographies from which the panorama montage was created. One of the detail images also shows an alternative view of the right side of the station with the Schlossgartenflügel which has been demolished in 2012.